Son Ametler (Almond) is an award-winning traditional 18th century Mallorquin Finca surrounded by almond, fig and other fruit trees and countryside. It has a large swimming pool. Nestling in the foothills of the Serra de Tramuntana, Son Ametler has been lovingly and impeccably restored to a very high specification by the current owners, who also ran the nearby Es Castell boutique hotel, recently voted “Spain’s Best Hotel” (ReviewPro). Inside it is very spacious and makes the most of wonderful local stonework. Son Ametler is beautifully decorated with clean classic lines and all modern comforts. All rooms are ensuite, with air conditioning. Some have private terraces. One of the bedrooms has wheelchair access with wide doors and a drive in shower. Outside are spacious grounds with mature gardens, a number of terraced areas to chill out on or share a meal, lawns and a decked area near the pool. Stunning views of the mountains. A vegetable garden also offers the ultimate in fresh herbs and greens. You’ll find plenty of space to find a quiet spot in the shade with a book, or to soak up the sun by the pool. Son Ametler is just off the Campanet to Selva road to the West of the village of Moscari. 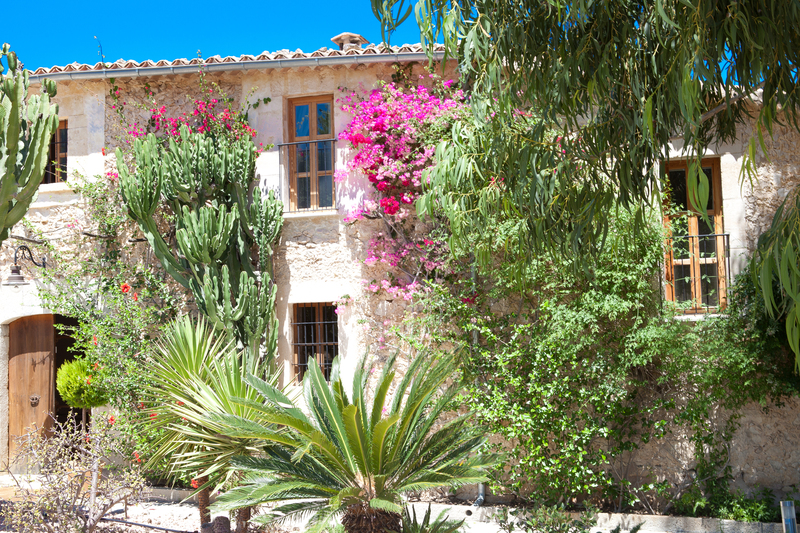 It’s only 20-30 minutes on foot to several local villages, including Caimari, Moscari, Selva and Campanet, and 30 minutes by car to the nearest beaches at Puerto Pollensa and Alcudia. Son Emetler is just 40 minutes from Palma Airport. Car hire is very reasonable at this time of year. Taxis to/from the airport are approximately €50 one way. For read more about Son Ametler click here. To find out more about nearby attractions and Mallorcan culture click here to access the relevant Es Castell website page.